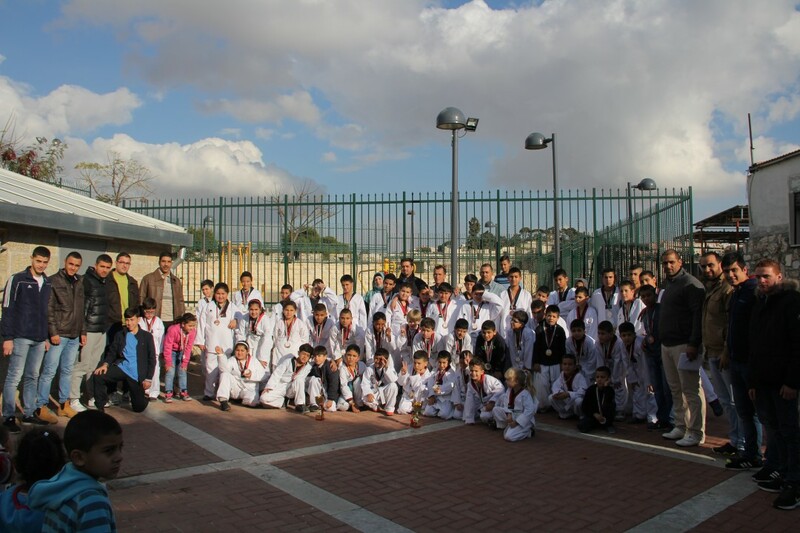 Burj Al-Luqluq Social Center Society organized its first Taekwondo championship in December 2016, within Live the Burj project, financed by the Arab Development Fund through the Islamic Bank and under the supervision of Welfare Association, and in an involvement of 80 female and male players. The championship started at 9 am under the supervision of the Taekwondo coach, Mohammad Khalil, who organized most logistic stuff, with the assistance of Alma’had Al-Arabi coaches, Abu Baker and Mohammad Judeh who assisted in championship coordination. Head of Board Members, Nasser Ghaith, the Executive Manager, Muntaser Edkaidek, in addition to Ahmad Srour , Head officer of Alma’had Al-Arabi Fu’ad Obeide , the Treasurer, Sa’id Misk , and the coaches honored the winners of young ages competition.